Kento Momota’s scorching run of finals appearances at HSBC BWF World Tour events came to an end yesterday at the YONEX French Open 2018 at the hands of Chen Long. Except for a walkover that he conceded in the quarter-finals of the Korea Open, the Japanese has been in the final of every World Tour event since his quarter-final loss at the German Open in early March. In the period since then, Momota made five World Tour finals of which he won three, besides winning the World Championships and Badminton Asia crowns. 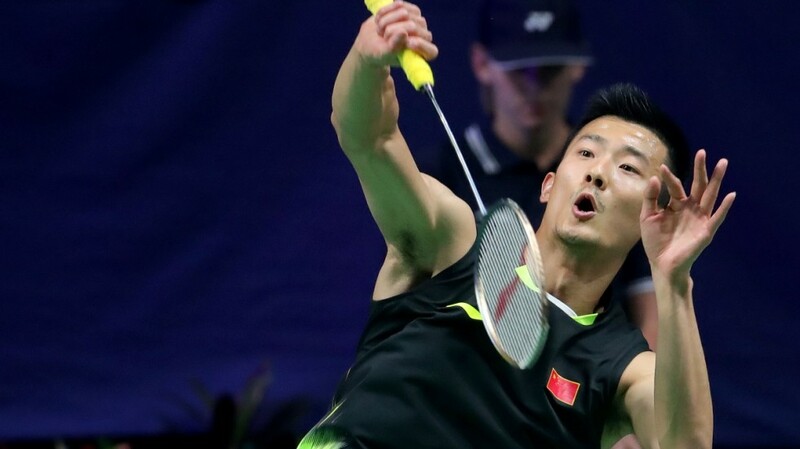 He was favourite once again going into Saturday’s semi-final against China’s Chen Long (featured image), for he beat the former No.1 in both their encounters since his comeback to the top level this year without dropping a game. 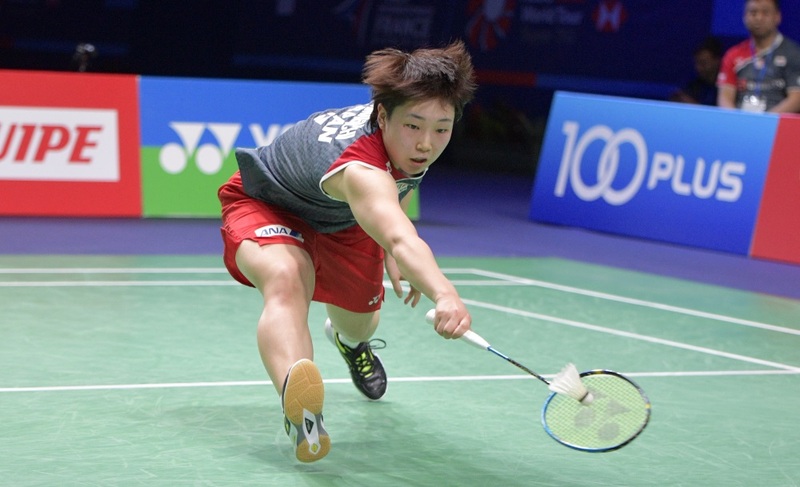 However, it was Chen who held the edge through the opening game, with Momota playing catch-up all through. During a brief spell, with the Japanese stringing together five straight points to nearly cancel a 10-16 deficit, it looked like Momota had swung things his way, but Chen pushed ahead and took the game 21-18. Momota’s challenge evaporated from that point, and he fell 21-18 21-8, giving Chen his first World Tour final appearance of the year. The two-time world champion’s last major title was the China Open in November 2017. Chen will face 2016 champion Shi Yuqi in the all-China Men’s Singles final. Shi had little trouble in disposing off the challenge from Denmark’s Rasmus Gemke, 21-11 21-16, earning a shot to win his first title since the All England in March. It was a day for first-timers, with a couple of contenders making their first major World Tour final. This included Bulgaria’s Stefani Stoeva and Gabriela Stoeva in Women’s Doubles and Korea’s Seo Seung Jae and Chae Yujung in Mixed Doubles. The Bulgarians achieved their best-ever result at a World Tour event by beating Korea’s Lee So Hee/Shin Seung Chan 15-21 21-15 21-15 in the longest match of the day at 94 minutes. The Bulgarians fell behind in the first game and trailed through the early part of the second before catching up after the mid-game interval. They had to stage another comeback in the third game, from 8-12, and powered to victory after winning 13 of the last 16 points. 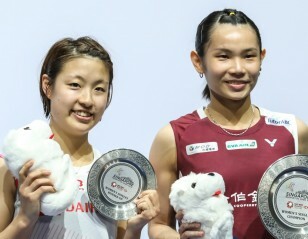 The final hurdle in the way to their first major World Tour title will be world champions Mayu Matsumoto and Wakana Nagahara, who blitzed defending champions Greysia Polii/Apriyani Rahayu (Indonesia) 21-10 21-8. Seo Seung Jae and Chae Yujung continued to ride on recent form which has seen them feature in semi-finals in Denmark and Korea. They were dominant all the way against Thailand’s Dechapol Puavaranukroh/Sapsiree Taerattanachai, recording a 21-14 21-9 result, which will pit them against the relentless Chinese duo Zheng Siwei/Huang Yaqiong. 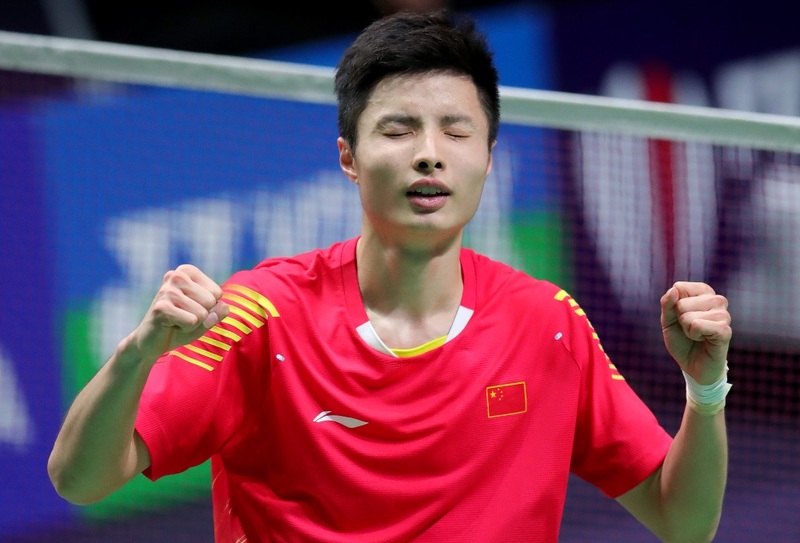 The Chinese have been in seven World Tour finals this year, of which they have won five. They made their eighth final yesterday, destroying the pair that beat them in the All England final – Japan’s Yuta Watanabe and Arisa Higashino – 21-11 21-14. 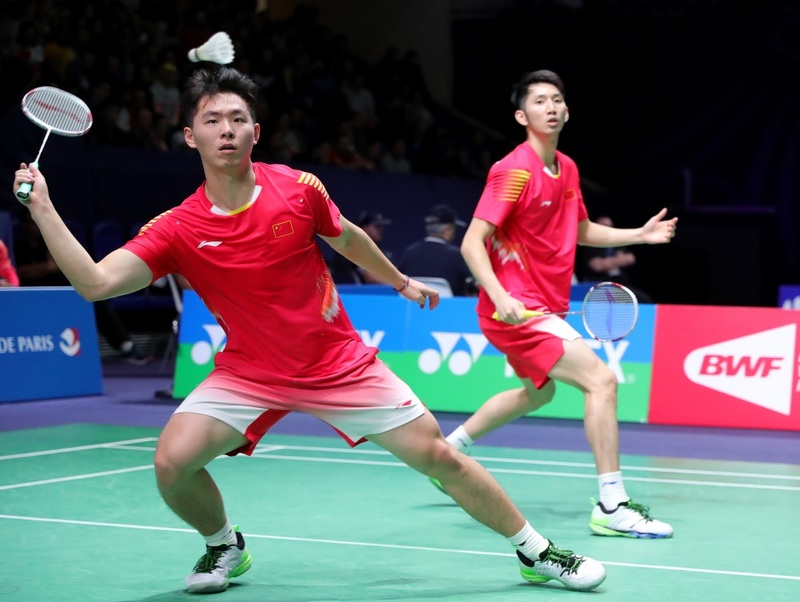 Meanwhile, the two other nearly unstoppable forces in badminton right now – Chinese Taipei’s Tai Tzu Ying and the Men’s Doubles pair Marcus Fernaldi Gideon and Kevin Sanjaya Sukamuljo – booked their spots in yet another final. 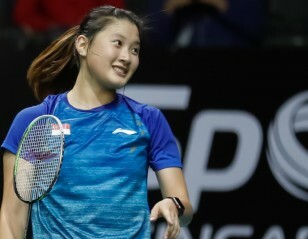 Tai completed her 11th win from as many matches against China’s Chen Yufei, 18-21 21-12 21-14, making her tenth final overall this year. Tai is now one win away from her seventh World Tour title – and ninth title overall – this season. The obstacle in the Women’s Singles final will be Japan’s Akane Yamaguchi, who has a 4-7 head-to-head record against her. Yamaguchi held off China’s He Bingjiao in the closest match of the day, 20-22 21-19 21-19. Fernaldi and Sukamuljo are in contention for their seventh World Tour title this year. The Indonesians were pushed to the limit in a tense second game by India’s Satwiksairaj Rankireddy and Chirag Shetty. Fernaldi and Sukamuljo had to save two game points before converting their own fourth opportunity to close out the match in straight games, 21-12 26-24. Their opponents in the final will be young Chinese duo Han Chengkai/Zhao Haodong, who beat them at the China Open in September. Han and Zhao outplayed Chinese Taipei’s Lee Jhe-Huei/Lee Yang 13-21 21-18 21-17 to reach their second major final.